Surgical smoke is hazardous to patients and medical and healthcare staff, and should be filtered and evacuated. Surgical smoke is generally caused by incisions made with diathermy and laser equipment. The ultra-fine particles that result from the procedure and spread through the air are toxic and may contain living and necrotic cell fragments, gaseous chemical compounds, mutagen and carcinogenic material, bacteria and virus. It is very important that the surgical smoke is evacuated from the operating theatre instead of being filtered and returned. The air quality becomes significantly improved (and has been documented in a study ScienceDirect EJSO 35 (2009) 780-784) link …. – on behalf of the staff members and patients’ best interests. 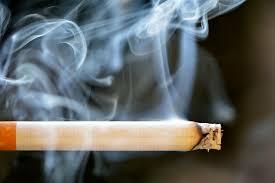 The hazardous effects of surgical smoke are many and are they are well-documented. Read more here. There is much debate about this issue in the USA and institutions such as the National Institute of Occupational Safety and Health (NIOSH) and Association of periOperative Registered Nurses (AORN) have issued recommendations about surgical smoke. In Sweden, Riksförbundet för Operationssköterskor (The National Association of Operation Theatre Nurses) have issued new recommendations. Read more here. There is also a new international regulatory standard, ISO 16571, regarding surgical smoke evacuation. Read about the guidelines here. Medicvent offers an integrated surgical smoke evacuation system for laser surgery and electrosurgery, which obviously fulfills the new ISO standard. The air is evacuated from the operating theatre. Medicvent’s system provides simple and effective evacuation of surgical smoke, without any disturbance to the surgical procedure. Read more about our products here. Smoke from 1 gram of heat-destructed tissue from electrosurgery contains comparable values corresponding to smoke from 6 cigarettes. The smoke is also rank and smelly, which in turn can irritate the respiratory system and eyes and cause headache, dizziness, nausea and vomiting.